Linen King is pleased to announce that it has acquired a facility in Memphis, Tennessee. The facility, which expands on an existing eastern presence in the US, will allow Linen King to offer clients support and provide more service necessary to continue fueling growth. 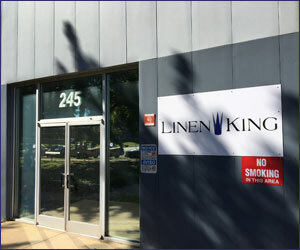 Linen King’s new facility is located east of Linen King’s five plants in the Midwest, which includes facilities in Oklahoma, Arkansas, Missouri and Kansas. Linen King processes more than 70 million pounds of textile products annually for hospitals and medical facilities. Founded in 1999, Linen King provides customized laundry care solutions for its clients. Linen King primarily serves the healthcare laundry sector, choosing to focus on large, acute-care health systems.